Four-time WRC Champion Tommi Makinen drives the 2014 Subaru Forester XT on the Col de Turini of France. What did the WRC legend think of the all-new Forester? Subaru continues their "Forester Live", the all-new 2014 Forester's 100,000 km world expedition across 5 continents with video Clip #5. 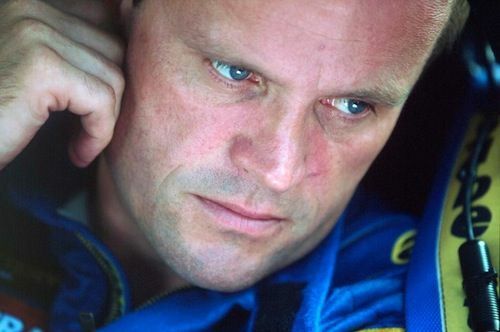 But behind the wheel of this special drive will be four-time WRC Champion Tommi Makinen. And he drives the new Forester on the Col de Turini of France, the location that is famous for a stage of the Monte Carlo Rally. Just what does the WRC legend think of the all-new 2014 Subaru Forester XT? The Col de Turini of France is the perfect place for WRC champion Tommi Makinen to test the new Forester. After all, it's home to the Monte Carlo Rally, which boasts much tradition and prestige. The Churini Pass Provence is famous for its tight hairpin curves along the steep cliffs. Drivers have to be extremely attentive to handle the special stage of the race. This is the setting Subaru chose for Tommi Makinen to drive the Forester XT. The Forester XT is powered by the new high performance direct injection turbocharged Boxer engine that produces 250 horsepower and 258 lb ft of torque and gives sharp responsiveness. This tester will be mated with the automatic transmission with S Mode. It’s the perfect sporty model for outstanding driver and WRC legend Tommi Makinen to take on the curves of Col de Turini. Makinen “Monte meinster” has won the Rallye Monte-Carlo 4 times in a row and has an unbelievable record of 24 wins in the WRC. As the professional driver takes on the hairpin curves, he says, “I would say it’s very very fast for a SUV. The Sport Sharp Mode is one step upward. It keeps the engine even higher and it’s a very big difference. You can feel the engine performance is completely different and its acceleration is amazing.” Makinen is having fun navigating the sharp corners as he pushes the new Forester to its limits. Tommi Makinen finished his drive on the Col de Turini and seemed to be very impressed with the all-new 2014 Forester XT. The next "Forester Live" stage will be on one of the “best demonstration points” on the planet, Nurburgring Germany. Stay tuned.